PALM BAY, Fla. -- Some residents unnerved by scary clown threats in their communities say they’ll be armed for Halloween trick-or-treating, while authorities warn that widespread clown fears may endanger someone dressing up as a clown as a joke. “The problem is that someone dressed like a clown could scare someone and there’s a possibility -- a possibility -- you could end up with someone getting shot,” said Palm Bay Police Lt. Mike Bandish. In South Florida, Broward County schools prohibited clown costumes for Halloween activities, according to a Sun Sentinel reporter. Last week in Germany, a teen’s attempt to scare people dressed as a clown turned out badly. German police say the teenager’s attempt to frighten a group of young people by wearing a clown mask and brandishing a hammer on a Berlin street ended with him being stabbed. 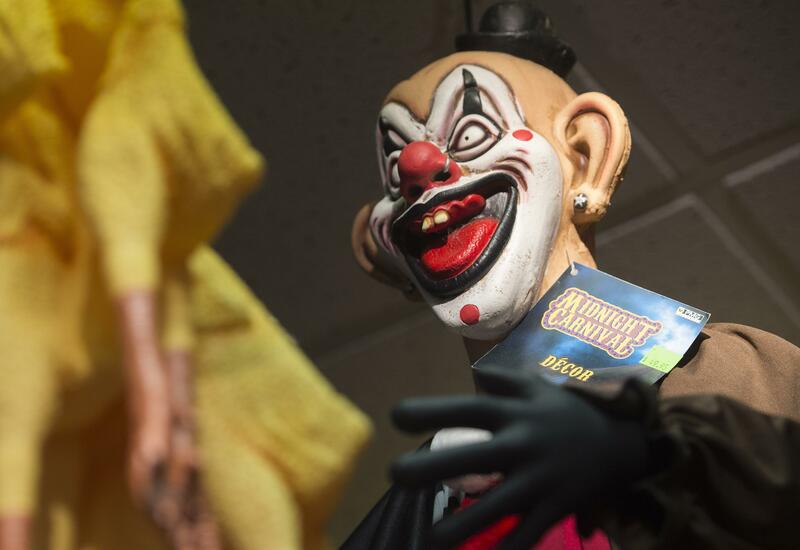 Berlin police said Tuesday that a 14-year-old responded by pulling a knife and stabbing the clown, only to find that the clown was a 16-year-old acquaintance. He rendered first aid until emergency medical help could arrive Monday. The older teen was taken to a hospital. The 14-year-old was released to his parents.